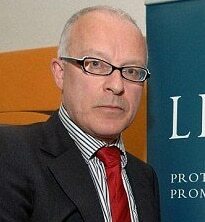 The decision of the Solicitors Disciplinary Tribunal (SDT) yesterday to strike off human rights lawyer Phil Shiner over his conduct of abuse claims against British soldiers in Iraq has received unprecedented coverage across the media today and arguably put the entire legal profession on the back foot. They included: authorising unsolicited direct approaches to potential clients arising out of the Battle of Danny Boy; paying prohibited referral fees to, and approving an improper fee-sharing arrangement with, a middleman, Mazin Younis, and later bribing him to change his evidence on how the clients had been identified; misleading the Solicitors Regulation Authority (SRA); failing to comply with his duty of candour to the court; failing to comply with his duty of full and frank disclosure to the Legal Services Commission; and making improper allegations at a press conference that the British Army had unlawfully killed, tortured and mistreated Iraqi civilians, including his clients. Mr Shiner was also ordered to pay interim costs of £250,000, a huge sum by the standards of tribunal cases, where final costs bills are almost always in five figures at most. 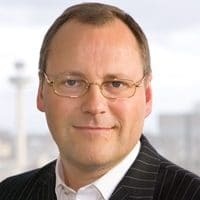 Paul Philip, SRA chief executive, said: “We welcome the SDT’s decision to strike off Professor Shiner, who has been found to have been dishonest. It is important that solicitors can bring forward difficult cases, but the public must be able to place their trust in them. Mr Shiner is now also under criminal investigation over the legal aid money his firm received. 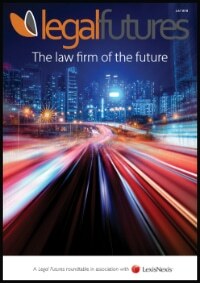 Many papers noted that Mr Shiner was named the Law Society’s solicitor of the year at the 2007 Excellence Awards, and in 2004 was named human rights lawyer of the year by civil liberties groups Liberty and Justice. 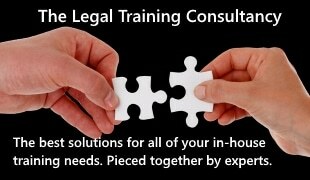 A Law Society spokewoman said: “Solicitors are held to exceptionally high professional and ethical standards. As with every profession, any solicitor whose actions violate the code of conduct or break the law is held to account and – through the SRA and SDT – there are robust, transparent disciplinary and regulatory procedures to deal with the rare occasions when there is misconduct. This was the case about the death of Iraqi hotel worker Baha Mousa, who suffered 93 injuries in detention under control of British soldiers. The Law Lords held that the home secretary was in contravention of the Human Rights Act in denying a public inquiry. Nonetheless, today’s newspaper editorials tore into him and the profession. “To this country’s self-righteous legal establishment – which garlanded him with awards – he was a campaigner for justice, and newspaper criticism of him was just ‘media-manufactured vilification’,” said the Daily Mail in a leader. Daily Express columnist Harry Hodges said that “the only time in this sorry saga that the public interest has been served was yesterday when the tribunal finally rid us of this hateful character”. The Times welcomed Mr Shiner’s “fall from grace”, but said “some pressing questions, however, still need to be addressed”. It said: “For many years Mr Shiner was hailed as a model campaigner. He was named solicitor of the year by the Law Society in 2007 and he received awards in 2004 from two human rights groups. Yet not a single prosecution ever emerged from the more than 3,000 allegations of British army murder and wrongdoing presented by Mr Shiner to the Iraq Historic Allegations Team. More than £30m of public funds has been spent investigating what turned out to be false and dishonest allegations. The tribunal aims to publish its decision within seven weeks. Mr Shiner will then have 21 days to appeal. Sent this to Haldane Society, Do you think I stand a chance? Can I please join the Haldane Society of Socialist Lawyers. I’m not qualified in law in anyway but I do seem to remember obtaining a low-grade CSE in one of the Fabrication fields of secondary education. My motive for joining is a very strong desire to seek a mentor to guide me in the dark art of how to avoid being caught flouting ethical norms and the law, whilst obtaining oodles of dosh in the process of actually doing so. I know I may have to reduce or completely eradicate my sense of fair play and my integrity, but knowing what I aim to achieve, I hope you consider this to be something worthy of me. I trust (ha ha, my little joke) you can accept my perhaps less than humble request to join, and that you can recommend a suitable guide who has enough desired traits to rise to the very top of your organisation.